Length: 53.63", Width: 13", Height: 3.75"
Fairly well made moulded (polypropylene?) case. 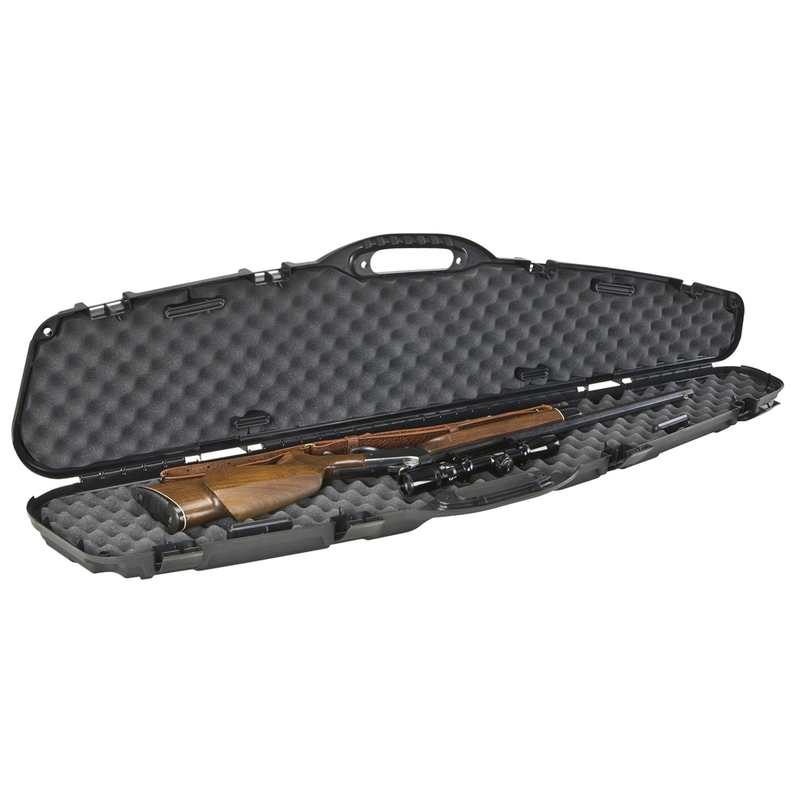 Big enough and long enough to take any of my guns including a scoped Savage Anschutz model 54 and a sharps Rifle. Closes securely with 4 plastic snap over clips to hold and protect the rifle but dont expect high security. Although it has 4 positions (at ends and either side of the handle) to take a padlock hasp could quite readily be forced open. Excellent quality value for money. Good quality product at a good price but check the size of the rifle you want to use it for my rifle a Theoben FAC airrifle with scope only just fitted. Nice case to keep my Webley raider XS in. Its well made, seems durable (the plastic feels and looks good quality) and light. The rifle is held in nice and secure with the foam, it doesn't slip around. The rifle will also fit in with a bi-pod attached.&nbsp;My only issue is its size i have a 3-9 x 40 on and it just fits in, anything with a larger scope on wouldn't fit or it would be a squeeze. For the price you cant really complain as it suits me perfectly.